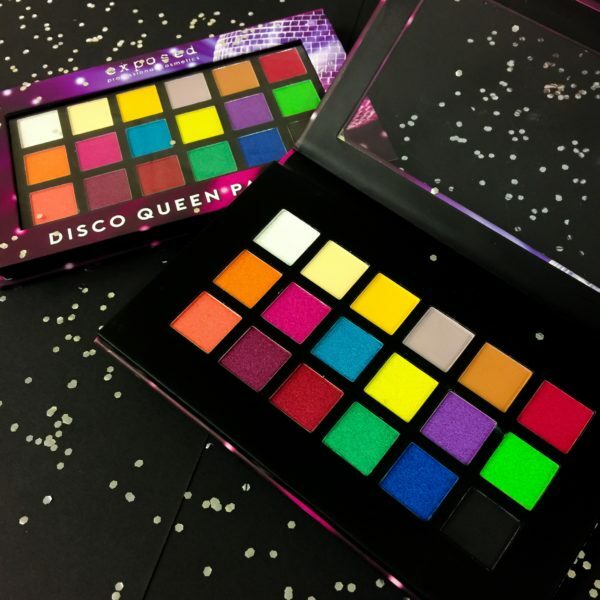 The Disco Queen Eyeshadow Palette from Exposed Professional Cosmetics features a mix of 18 textured eyeshadows from matte transition shades for neutral looks to epic, ultra bright colours with a metallic foil finish for show stopping, diva-worthy looks. 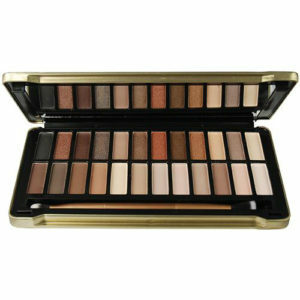 The palette contains a mix of matte & metallic foil Eyeshadows that are perfect for Party season & Festival season alike. 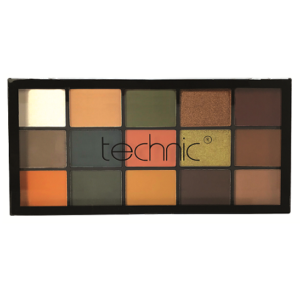 The palette is extremely versatile and can be used to create a multitude of fantastic eye looks. Each shade in the Disco Queen Eyeshadow Palette is ultra pigmented and blends like a dream. 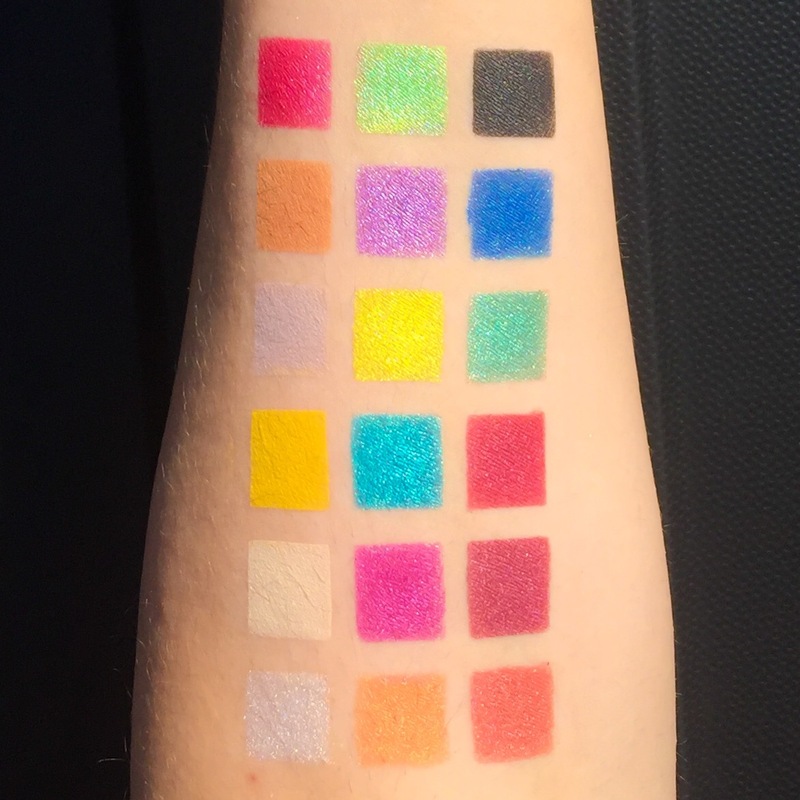 Foil eyeshadows are best applied with fingers or a flat synthetic brush. 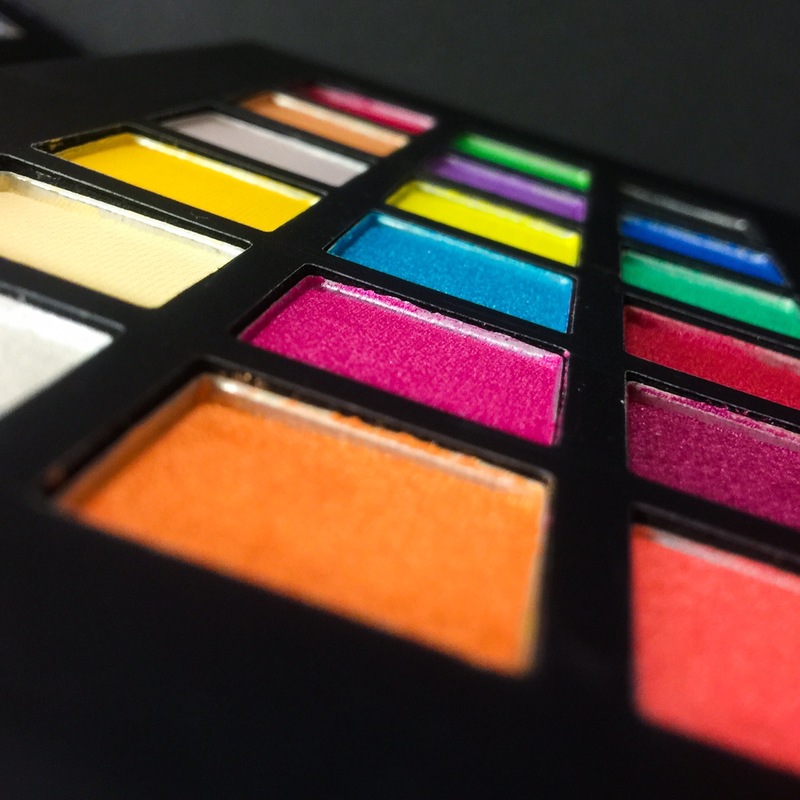 Exposed Cosmetics are a UK based brand offering up to date, on trend cosmetics. 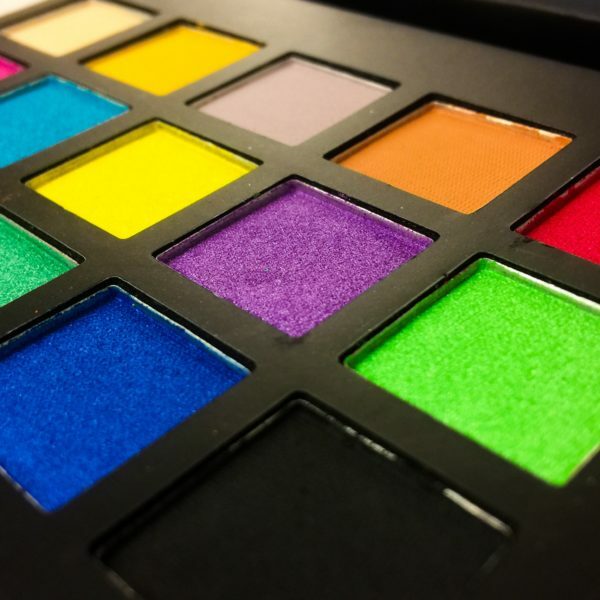 Designed in the UK, our aim is to create professional quality products at down to earth prices that everyone can afford. 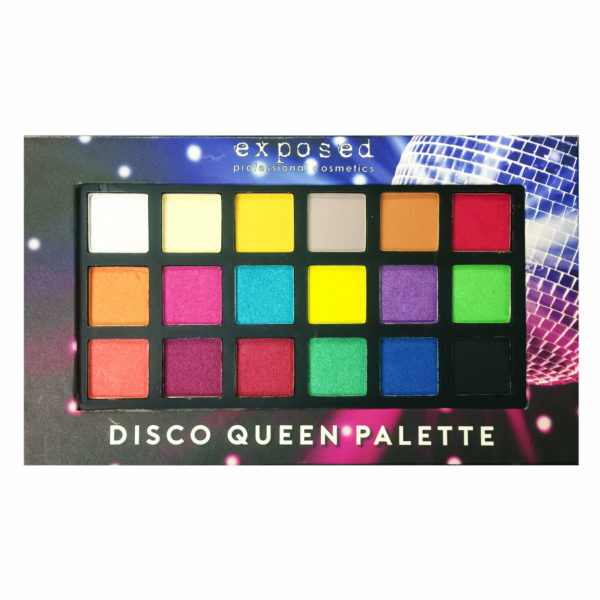 Exposed Cosmetics started as a small company producing a wide range of professional grade Nail Lacquer covering a large colour spectrum. 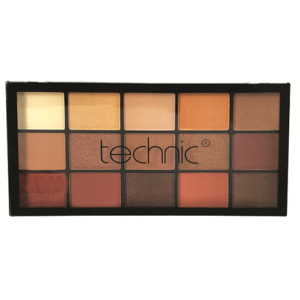 We have since expanded our range to include professional cosmetics and make up tools and human hair eyelashes. Our Lashes are handcrafted, 100% human hair lashes on a lightweight band. 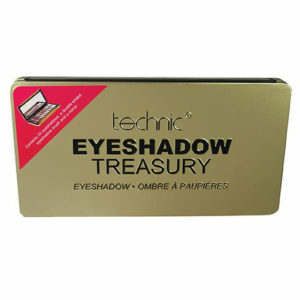 The lashes are fully reusable and come in protective plastic packaging so they can be used again and again. Fill a bowl with lukewarm water and a squirt of brush cleaner, and gently swirl your brush tip in the water. If you need to, you can also swirl the brush in the palm of your hand to work up a lather. 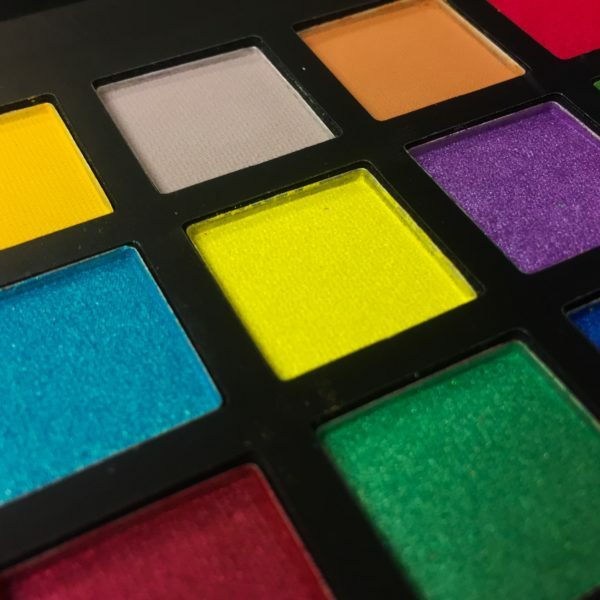 Don’t forget to head over to our Facebook Page to check out the latest buzz on our products and stay up to date with what’s going on!